Enriched with vast industrial experience, we are involved in offering a wide range of hygienic coatings. Owing to high adhesiveness and finest quality, these hygienic coatings are widely used in various industries. Our hygienic coatings are widely preferred for their optimum quality and consistent performance. 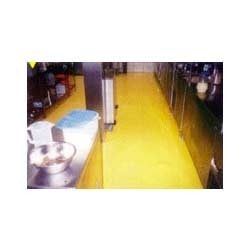 Besides, these hygienic coatings are available in various specifications as per the demands of clients.